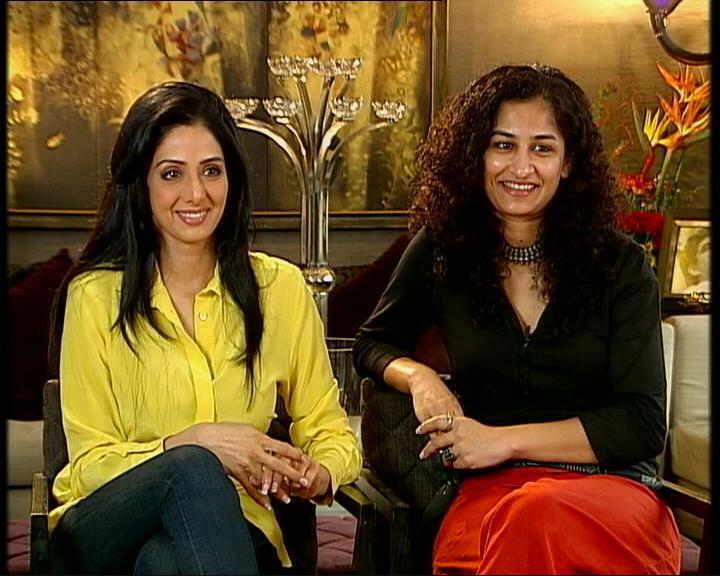 Watch Sridevi and Gauri Shinde in conversation with Rajeev Masand on CNN-IBN on 10.30pm on Aug 15, 2012. As Rajeev says, :In this interview, Sridevi – one of Hindi cinema’s finest actresses ever – talks about her 15-year hiatus from the movies, and her comeback in English Vinglish. Also joining the star in this interview is her director Gauri Shinde who explains what the actress brought to her role.